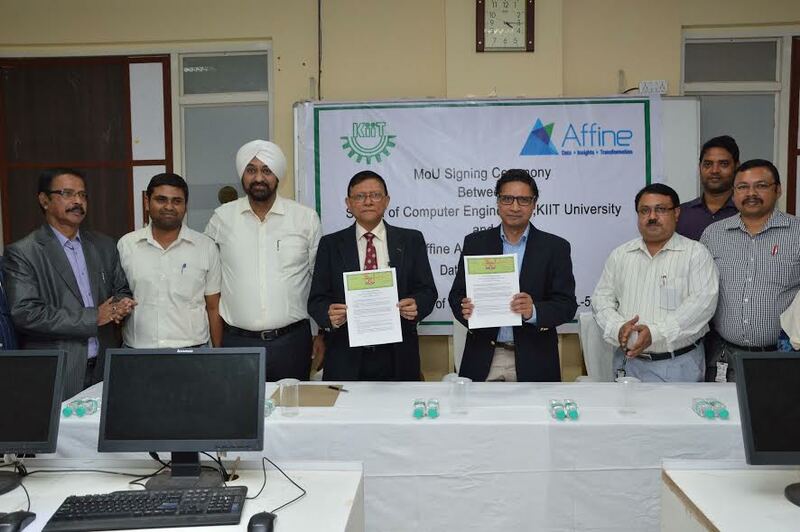 Bhubaneswar: KIIT University has signed a memorandum of understanding with Affine Analytics recently. The objective of MOU is to establish a long-term mutually beneficial association for academic and research based interactions leading to promotions and development of new breakthrough technologies in the areas of Data Science, Analytics & Big Data. Affine Analytics has agreed to provide necessary infrastructure and technical support to KIIT University for the establishment of state-of-art advanced research laboratory to carry out the collaborative research. This will also include information and knowledge sharing, conducting training programs, organizing seminars and workshops and other related activities. Affine Analytics is a private software firm providing analytical solutions to organizations globally in the areas of Sales & Marketing, CEM, CRM, Financial Planning, Operations, Merchandizing, Supply Chain and Risk.